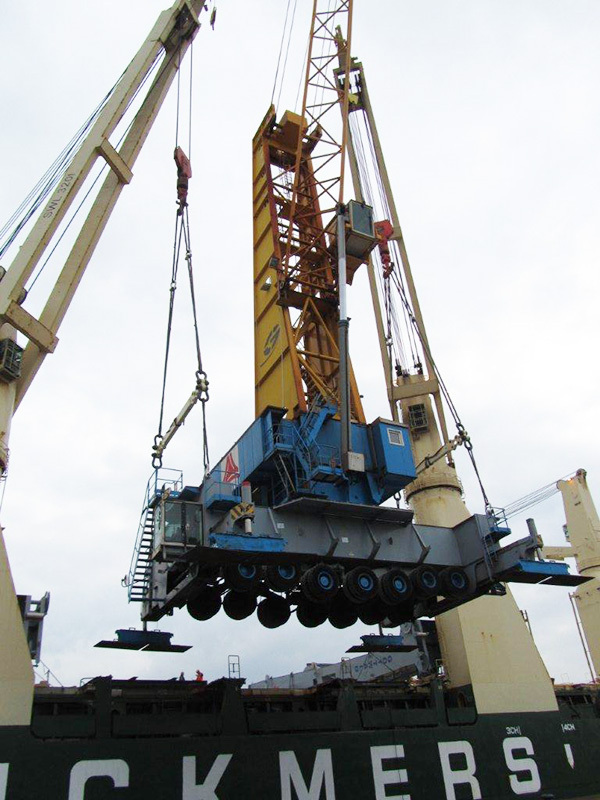 Transport - Pinarci Port Equipment B.V.
Transportation of harbour cranes can be established in several ways. 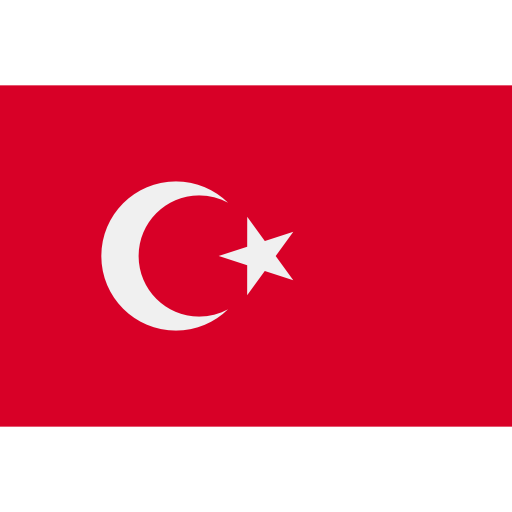 An option is to dismantle the total cranes and mantle again at the destination. 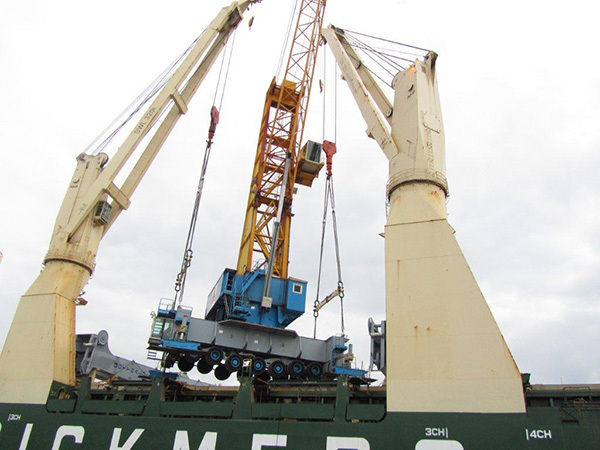 Pinarci Port Equipment B.V. is working with Shipping companies which can carry the harbor crane as one unit. This way of shipping has also been mentioned as Hook on/ Hook off. In this way the harbor crane is direct operational at the destination. 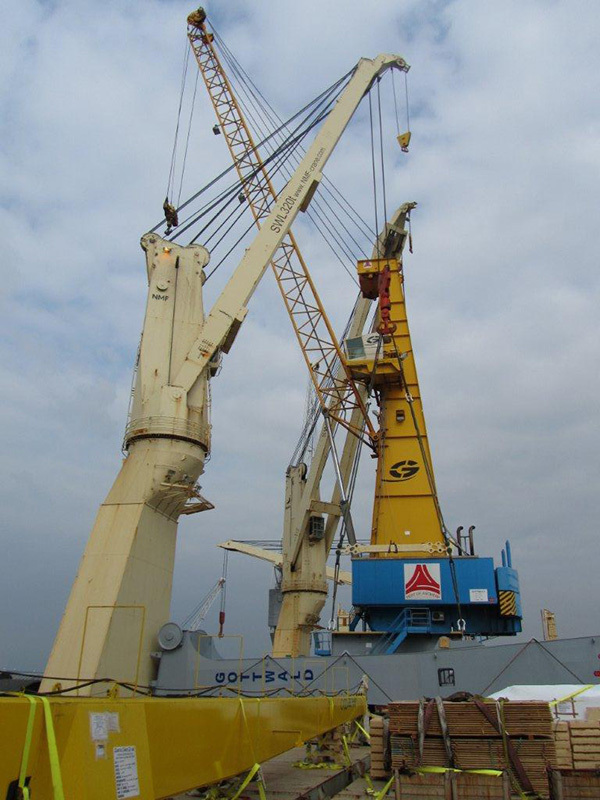 Vessels with a minimal of 2 x 270 metric/ton will carry the harbour cranes. The logistic process is one of the strength of Pinarci Port Equipment B.V.
Pinarci Port Equipment B.V. is spealised in finding port solutions. 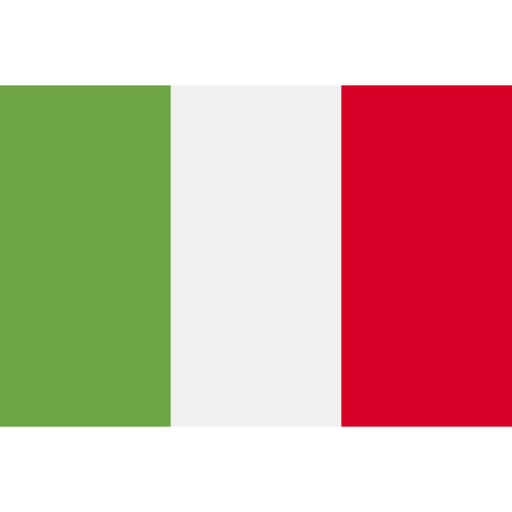 With over more than 15 years experience in the crane business. With a large range of customers all around the word. 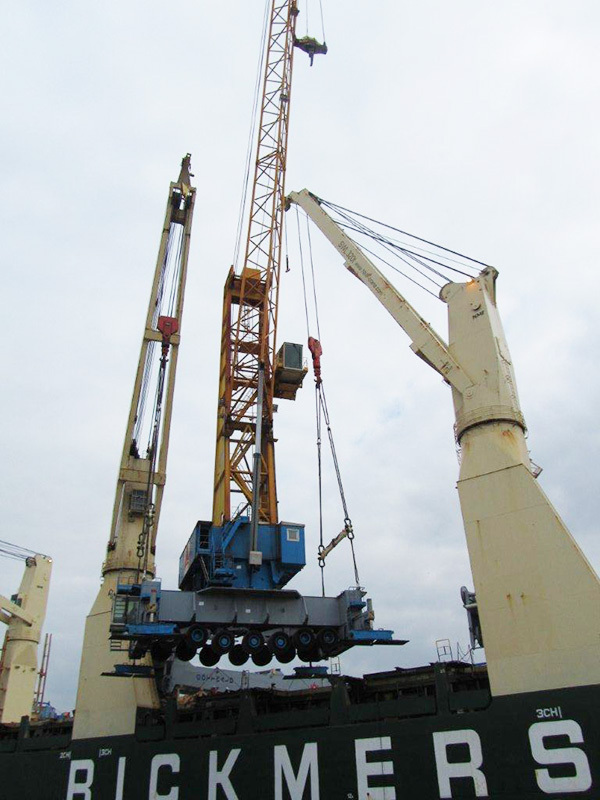 Pinarci Port Equipment B.V. is finding the right solutions. With a team of technical engineers Pinarci Port Equipment B.V. is providing a large range of possibilties to their customers. One of the strenght of the companies is the historical story of the company. The roots of this company is coming from the family which has always been an entrepreneur in the crane world.